If you know anything about timepieces, you’ll be familiar with Seiko watches. Founded as a jewelry company in 1881, the brand first came to the market under the Seiko name in 1924. Originally created with mechanical movements, that tradition continues today, along with quartz models and their new Spring Drive technology, which offers a hybrid of mechanical movement and electronic precision. Their styling is traditional, and they produce models in a variety of styles and price ranges. Read on for the full Seiko watches review. The brand has been on the market for nearly a century, and the company understands that quality is paramount. For many years, everything was manufactured in-house; they didn’t rely on outside suppliers for anything, including the oil that they used to lubricate their mechanisms. Their high-end models are still made that way today, though they do outsource some of their manufacturing for their lower end lines. Their cases are stainless steel or better, and many of their models offer water resistance to 100 meters or more. In the early days of the company, all of the timepieces had mechanical movements. Time moves on, and in 1969, the company introduced the world’s first quartz movement in a watch that, at that time, cost as much as a new automobile. 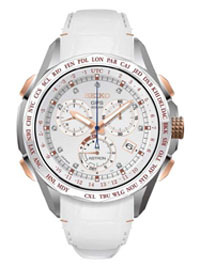 Seiko watches today are available with quartz movements in the lower end of the product line and mechanical and automatic movements in their higher priced watches. They also have a mechanism called Spring Drive, which uses a traditionally would spring to power a generator which gives you the appearance of mechanical action with the accuracy of quartz along with up to 72 hours of power on a single winding. Seiko watches continue to be built with quality in mind. The company didn’t stop innovation with the invention of the quartz movement; they were also early adopters with digital displays, solar power, and their new, revolutionary Spring Drive. Some Seiko watches include GPS time synchronization, automatic time zone adjustments and perpetual calendars good for the next hundred years or so. The company continues to introduce new features as they continue to make sturdy, accurate timepieces. If you like bright colors and edgy design, this brand may not be the ideal choice for you. It may not come as a surprise that this century-old company produces watches that tend to be rather conservative in style. While they do incorporate many new features, as described above, most of those are “under the hood.” Sassy colors, and “Wow! What is that?” styling are not this company’s trademark. 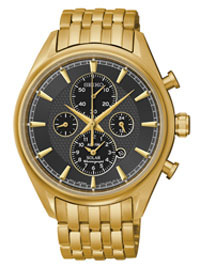 That said, they do produce a number of chronograph models as well as a few jeweled models that include gold in their design. They do offer several hundred different models, so most everyone will be able to find something that they like, but their current line features traditional models with analog displays. Maintenance isn’t much different that that of any other contemporary model. Mechanical movements must be regularly wound and models with quartz movements will need to have the batteries replaced every few years. Models designed for sports our outdoor use should probably be checked by a jeweler every few years to make sure that the seal on the case remains tight. The usual caveats about exposure to chemicals or magnetic fields apply; you should use common sense when storing your watches, as they are precision instruments that will last longer with proper care. Your watch will be warranted to be free from defects in materials and craftsmanship for three years from the time of purchase for buyers within the United States. This falls in the middle of the range as watch company warranties go; we’ve seen much longer and much shorter ones. Given the quality of the Seiko watches, we’re certain that a three year warranty is sufficient, as most defects are going to make themselves known within a year of the initial purchase. Some retailers offer extended warranties at an additional charge. It may not be possible to find a company with a more diverse range of products than this one. Some models can be found at retail for well under $100. Their top of the line models, including the ultra limited Credor Minute Repeater, are extraordinarily complex mechanical devices that sell for close to $500,000, provided that you can find one. Fortunately, most of the product line is far more affordable. As many companies do, they tend to offer more in the way of men’s watches than women’s, and they tend to be higher priced, too. Many of the women’s models are priced at less than $500, with a few limited models priced in the $1000-$3000 range. 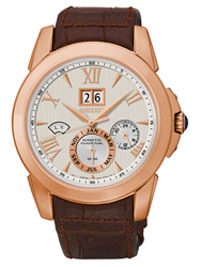 While the men’s line also has many watches in the $100-$500 range, they also offer quite a few styles priced in the $1000-$10,000 range. And yes, they offer some limited edition models that are priced considerably higher than that! Watch collectors have long been fans of Seiko watches, and limited editions and long-out-of-production models can sell for exorbitant amounts of money on the second hand market. If you’re shopping for one of the limited edition models, you may have to spend some time searching to find exactly what you want, as production is often limited to a few hundred units worldwide on some models. You can find the brand for sale at a variety of brick and mortar retailers, including many upscale department stores and fine jewelry shops. You can also find them online at a number of retailers. Given the scope of the company’s product line, it’s unlikely that you’re going to find any one single source that stocks everything. While most retailers will keep a good representation of the company’s product line in stock, no one can carry everything, so be prepared to spend some time shopping around if you’re looking for something in particular. As the brand is very collectible, many models available now are likely to appreciate in price, particularly those sold as limited editions. It’s quite possible that your purchase may increase in value over time. Since the debut of the brand name in 1924, the company has produced a vast array of well-built, precision time pieces that often feature cutting-edge technology in austere, elegant designs. With price ranges from the tens of dollars to the hundreds of thousands of dollars, Seiko watches are priced to appeal to everyone in all income ranges. 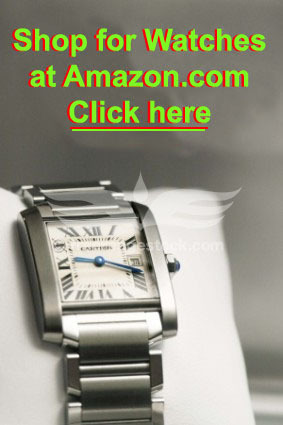 Their watches are suitable for everyday use, business wear, and as stunning evening accessories. If you want a timepiece that looks good, is built to last for years, and provides reliable performance, you’ll have a hard time beating Seiko watches.